I control the animation of the eyeball using some "Constraints". 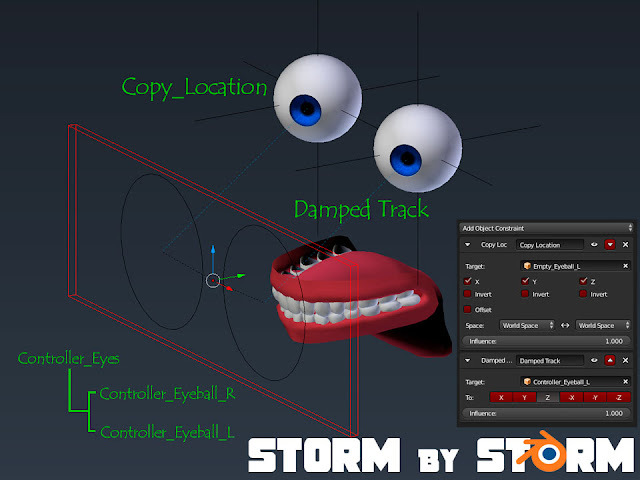 ・Create a controller for the eyeball and use "Damped_Track" so that the eyeballs always faces the controller. ・The controller has a structure that can control the left and right eyeball separately.